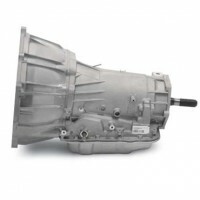 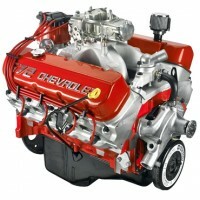 As the standard engine in the fifth-generation Camaro SS and C6 Corvette, the high-revving, deep-breathing LS3 6.2L is poised to go down in history as one of Chevrolet’s best and most versatile engines. 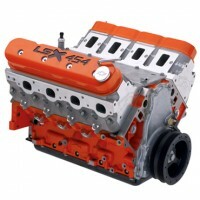 It’s no surprise that enthusiasts and builders have made it one of the most popular LS swap engines. 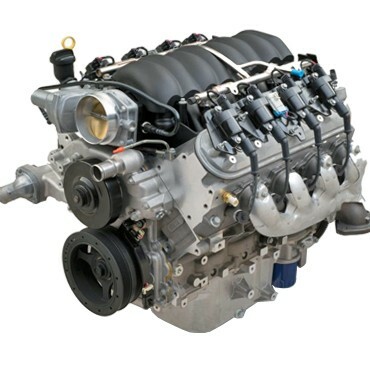 The LS3 V8 Crate Engine is perfect for motorsport applications, kit cars such as Cobra replicas and is popular amongst TVR owners upgrading their engines. 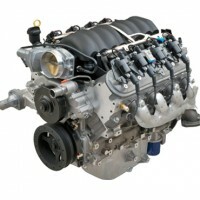 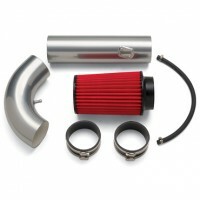 The LS3 is filled with components designed for high performance and longevity. 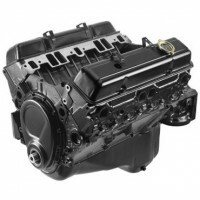 The aluminum block is filled with a sturdy reciprocating assembly that combines with L92-type rectangular-port heads to deliver a 10.7:1 compression ratio. 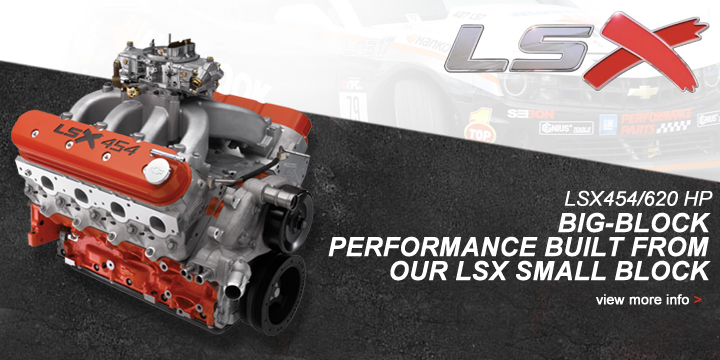 A high-lift, hydraulic roller camshaft complements the LS3’s tremendous airflow capability and enhances its broad torque curve. 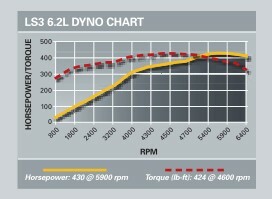 Out-of-the-crate Horsepower is 430, with an impressive 425 lb.-ft. torque. 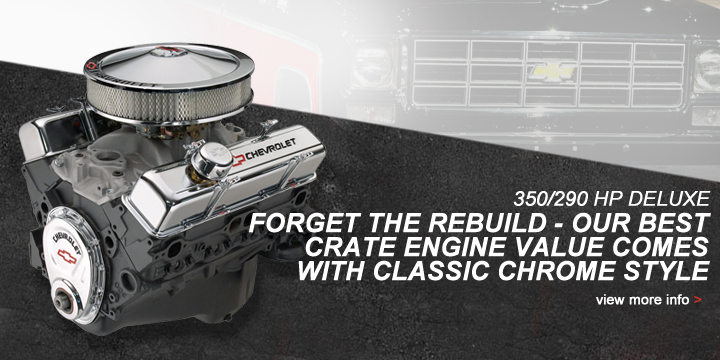 Our LS3 crate engine comes complete from the SS-specific oil pan to the ignition system. It also includes the intake manifold assembly with injectors and throttle body, exhaust manifolds, water pump, balancer, 58x reluctor wheel and 14-inch automatic-transmission flexplate. 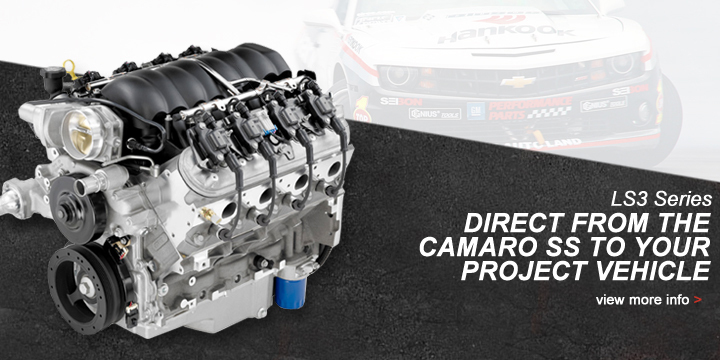 The SS oil pan doesn’t suit all applications. 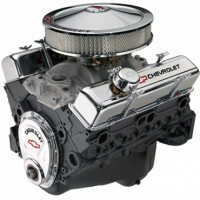 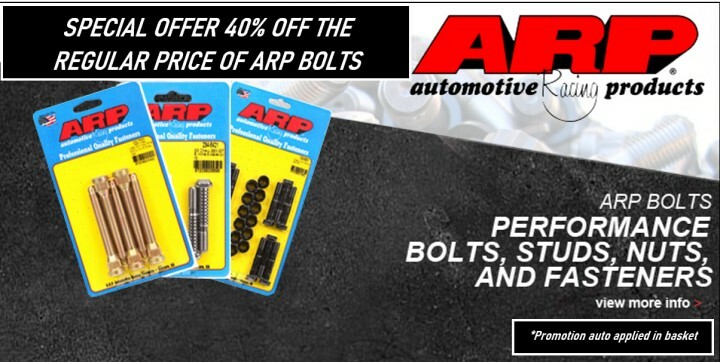 Use the vehicle specific oil pan for original LS-powered vehicles or Chevrolet Performance’s Muscle Car Oil Pan Kit P/N 19212593 for older vehicles. 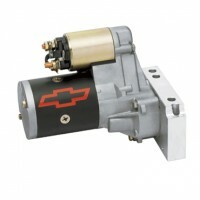 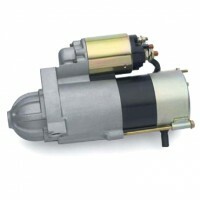 Use LS3 Controller Kit, P/N 19258270 for engine operation. 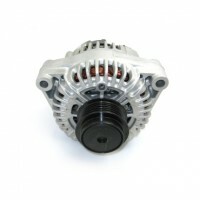 Kit includes electronic throttle pedal, which is required for throttle input to the ECU.